Samsung India has launched a digital campaign showcasing the capabilities of its digital voice assistant – Bixby through a powerful narrative that strikes a chord with viewers. The film is inspired by the life of a Motor Neuron Disease (MND)/ALS patient Sonal (name changed) who agreed to let Samsung work on a pilot project to help preserve her voice forever for her daughter. The campaign shows a loving mother who is diagnosed with Motor Neuron Disease (MND)/ALS and is losing her voice and ability to move, and how Samsung customizes its AI enabled Bixby technology to keep her voice alive on a Samsung smartphone so that her loved ones can continue to hear her voice. For this project, Samsung Research Institute, Bangalore (SRI-B) worked with a company which specializes in core speech technologies. We recorded an independent voice, and using TTS (Text To Speech) technology tested that voice for compatibility on Android OS (Samsung Smartphone). Testing on Tizen OS (Refrigerator, Television) is under progress. This phase led to the discovery of Asha Ek Hope Foundation, the first registered NGO for MND/ALS in India. It is a non-profit organization supporting people with motor neuron disease (MND) and their families. It’s striving to infuse hope and positivity in their life, which will empower them to overcome the illness. “At Samsung, we are focused on transforming people’s lives with innovative technologies. The endeavor is to solve real-life problems of consumers through meaningful innovations. This film depicts how Samsung can make the seemingly impossible, possible by using its AI voice assistant, Bixby to preserve the voice of a mother who is diagnosed with MND,” said Ranjivjit Singh, Chief Marketing Officer, Samsung India. In the film, the daughter is seen reading out an essay at school where she describes the beautiful relationship with her mother. She crafts a narrative which celebrates the mother daughter bond through activities, just the two of them spending time together, listening to and laughing with one another. As the video continues streaming, the mother is missing from the picture and we see the daughter speaking to a phone with her father in the backdrop. “Samsung, the leader in innovations, is always looking for ways to help people do the impossible. We are developing the first ever personalized AI voice assistant - Bixby to help people affected by Motor Neuron Disease leave their voices for their loved ones before they lose it. Cheil team set out to present a simple yet moving film showcasing the endless possibilities that Bixby can bring to the family coping with this unfortunate condition. We are delighted to see the heartwarming response that the film is getting and we are looking forward to perfecting the technology and inspiring many others.” added, Josh Seokjin, Sr. Art Director & Alberto Rodriguez, Sr. Copywriter from Cheil HQ Global Creative Division. 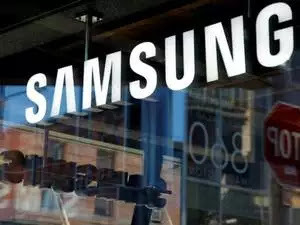 Samsung believes in delivering connected consumer experiences across its spectrum of products and has been focused on cutting edge technologies like Artificial Intelligence (AI), Internet of Things (IoT), Virtual Reality (VR), Machine learning and 5G mobile networks. It spent more than $14 billion on R&D globally last year and has more than 65,000 engineers and designers working to innovate and, bring the best products and solutions for our consumers. The launch of the world’s largest mobile factory in Noida is testimony to its strong commitment to Indian consumers. Following the launch of the factory, was the opening of the Company’s largest mobile experience centre in Bengaluru’s iconic Opera House. This centre showcases differentiated product experiences that revolve around transformative technologies such as VR, AI and IoT, which Samsung is pioneering globally. The customized Bixby voice solution is another example of Samsung’s commitment towards its consumers.